High-quality Amplifier dust cover for TRAYNOR 30 WATT ALL TUBE YGL 2 1 X 12 COMBO. High-quality Amplifier dust cover for TRAYNOR AM COMBO. High-quality Amplifier dust cover for TRAYNOR CUSTOM REVERB YSR 1 AMP. High-quality Amplifier dust cover for TRAYNOR CUSTOM SPECIAL YBA 3 AMP. High-quality Amplifier dust cover for TRAYNOR DNB 112 COMBO. High-quality Amplifier dust cover for TRAYNOR DNBX 12 CABINET. High-quality Amplifier dust cover for TRAYNOR JUNIOR COMBO. High-quality Amplifier dust cover for TRAYNOR K 1 KEYMASTER COMBO. High-quality Amplifier dust cover for TRAYNOR K 4 COMBO. High-quality Amplifier dust cover for TRAYNOR TRM 40 COMBO. High-quality Amplifier dust cover for TRAYNOR TS 15 COMBO. High-quality Amplifier dust cover for TRAYNOR YBA 1 A BASS MASTER MARK II AMP. High-quality Amplifier dust cover for TRAYNOR YBA 1 AMP. 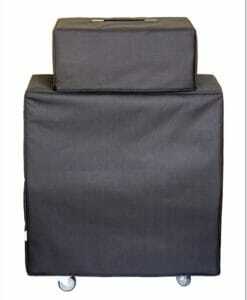 High-quality Amplifier dust cover for TRAYNOR YBA 200 2 BASS MASTER AMP. High-quality Amplifier dust cover for TRAYNOR YBA 4 COMBO. High-quality Amplifier dust cover for TRAYNOR YBX 1510 CABINET. High-quality Amplifier dust cover for TRAYNOR YCS 100 H AMP. High-quality Amplifier dust cover for TRAYNOR YCS 412 A CABINET. High-quality Amplifier dust cover for TRAYNOR YCS 50 H AMP. High-quality Amplifier dust cover for TRAYNOR YCS 90 CUSTOM SPECIAL 2 X 12 COMBO. High-quality Amplifier dust cover for TRAYNOR YCV 20 COMBO. High-quality Amplifier dust cover for TRAYNOR YCV 20 WR COMBO. 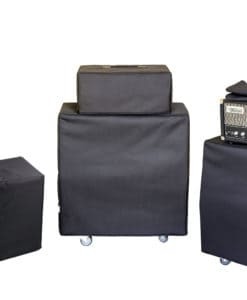 High-quality Amplifier dust cover for TRAYNOR YCV 40 1 X 12 COMBO. High-quality Amplifier dust cover for TRAYNOR YCV 50 1 X 12 COMBO. High-quality Amplifier dust cover for TRAYNOR YCV 50 B COMBO. High-quality Amplifier dust cover for TRAYNOR YCV 80 2 X 12 COMBO. High-quality Amplifier dust cover for TRAYNOR YCX 12 CABINET. High-quality Amplifier dust cover for TRAYNOR YGL 1 COMBO. High-quality Amplifier dust cover for TRAYNOR YGL 3 1972 COMBO.